My fennel craving had been building for a week when I came upon a fennel vendor at the local farmer’s market in Marco Island, Florida. 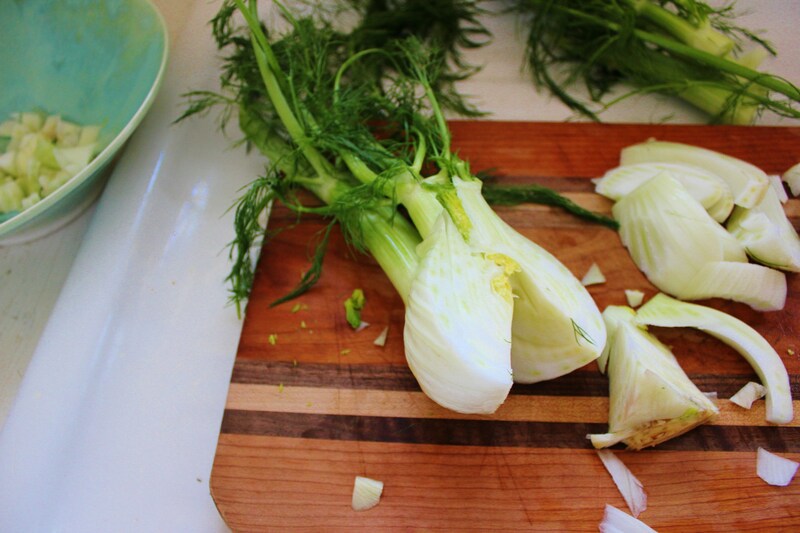 I played around with a few fennel recipes and thought it would be a near crime not share this one with you. 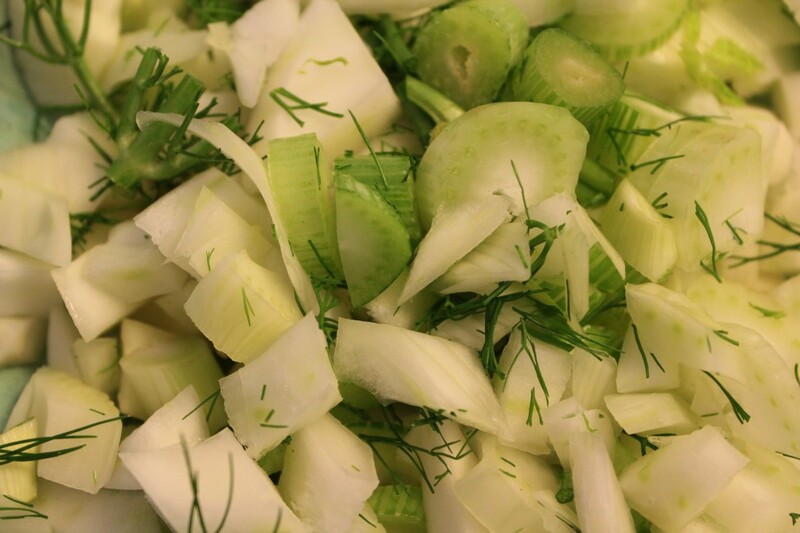 Fennel is versatile vegetable. It can be sautéed, grilled, braised, baked, or simply just eaten raw out of the garden it’s that good. It is highly aromatic and flavorful and has medicinal as well as culinary uses. I can’t get enough of this salad. The taste is anise and it is utterly refreshing. Crunching into it is instantly revitalizing and satisfying. Excellent for Pitta due to its cooling nature, this chopped fennel salad can help tame, cool, and calm even the most fired-up Pitta-types. 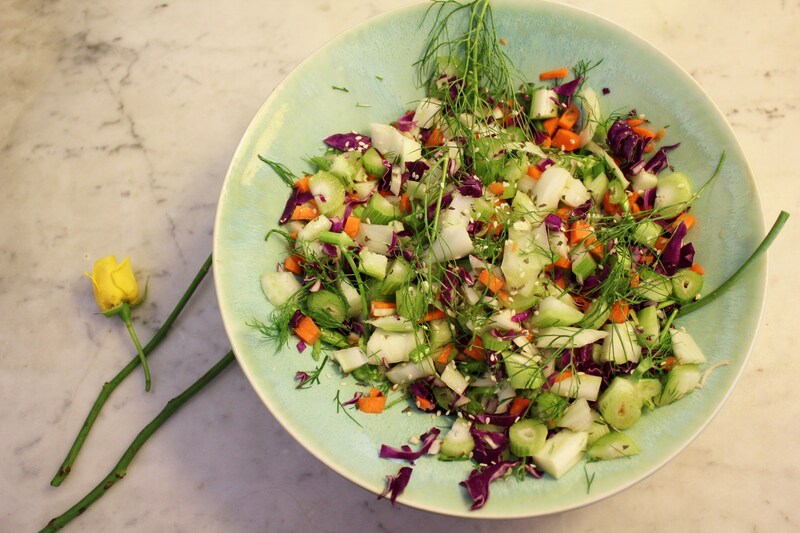 It is the kind of salad that is great as a snack, a side dish, travels easily to a picnic, and leaves you feeling light, refreshed, and happily satiated. Start with 1 fennel bulb (fronds and stalks attached) and ¼ inch chop the whole thing along with enough cabbage (purple and green for added color) to fill a ¼ cup. Peel and finely chop 1 small carrot. Place in large bowl and set aside. For the Vietnamese Dressing whisk together 1 teaspoon sesame seeds (or sunflower), 2 teaspoons sesame oil, 2 teaspoons fish sauce, 1 tablespoon rice wine vinegar (or apple cider vinegar), 1 tablespoon sunflower oil, and 1 teaspoon dried mint. 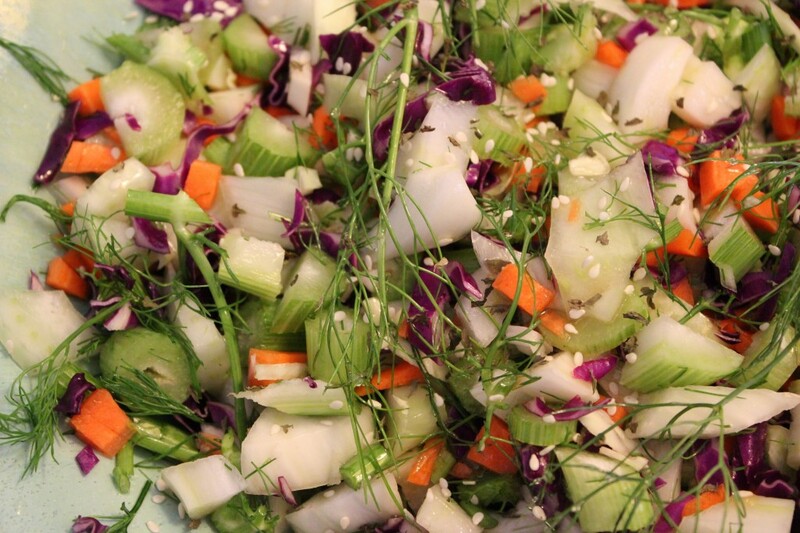 Drizzle the dressing over the chopped salad and toss to evenly spread the dressing. As an alternative, you may wish to toast the sesame or sunflower seeds first and then sprinkle them on top of the salad.